The research is published today in the journal Stem Cell Reports. The RUNX2-yellow fluorescent protein reporter system allows researchers to learn whether a human pluripotent stem cell-derived cell tests positive (or negative) for certain properties. Cells testing positive have been shown previously to repair bone in the skulls of immunodeficient mice. An improved understanding of whether a cell tests positive or negative through the RUNX2-yellow fluorescent protein reporter system will allow researchers to better monitor which types of cells produced from human pluripotent stem cells might be best suited to regenerating bone. The Stem Cell Reports publication comes on the heels of a complementary finding led by the same group of University of Minnesota researchers published in December in the journal Stem Cells. The Stem Cells publication specified a new reporter system to identify and isolate a unique group of progenitor blood cells from human pluripotent stem cells. The ability to isolate this unique group of cells will likely impact the scientific community’s potential to generate human blood cells from human pluripotent stem cells, with the potential to produce new therapies for patients to better treat diseases such as leukemia or genetic blood disorders. The bone-related reporter system will now be used to test potential new therapeutic compounds at the University’s Institute for Therapeutics Discovery & Development. Mayo Clinic and the University of Minnesota School of Dentistry contributed to the finding supported by National Institutes of Health and National Institute of Dental and Craniofacial Research grants DE022556 and R90 DE023058. The University of Minnesota Medical School, with its two campuses in the Twin Cities and Duluth, is a leading educator of the next generation of physicians. Our graduates and the school’s 3,800 faculty physicians and scientists advance patient care, discover biomedical research breakthroughs with more than $180 million in sponsored research annually, and enhance health through world-class patient care for the state of Minnesota and beyond. Visit med.umn.edu to learn more. Masonic Cancer Center, University of Minnesota is part of the University’s Academic Health Center. It is designated by the National Cancer Institute as a Comprehensive Cancer Center. 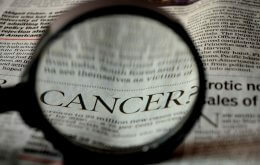 For more information about the Masonic Cancer Center, visit cancer.umn.edu or call 612-624-2620.